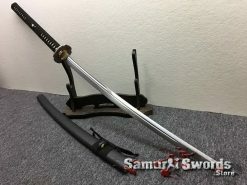 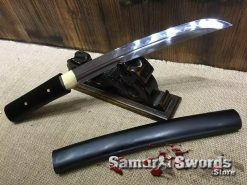 A small yet very efficient blade that can be used for practice; the samurai Tanto is a full tang weapon that has a tang extending all the way to the tsuka, making the blade and the grip one whole piece of steel. 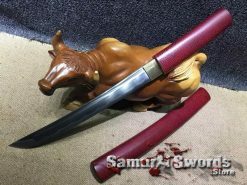 This provides the Tanto with a certain level of rigidity and toughness that makes it a solid item to enjoy during practice. 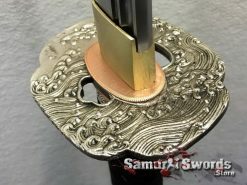 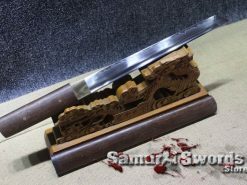 The blade is made from 1060 carbon steel and has a total length of thirty-two centimeters while its width measures at 3.1 centimeters; the tsuka has a length of sixteen centimeters which is adequate enough for single-handed wielding. 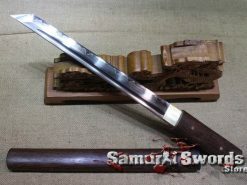 All in all, this Tanto weighs one kilogram which is a good weight when wielding the weapon. 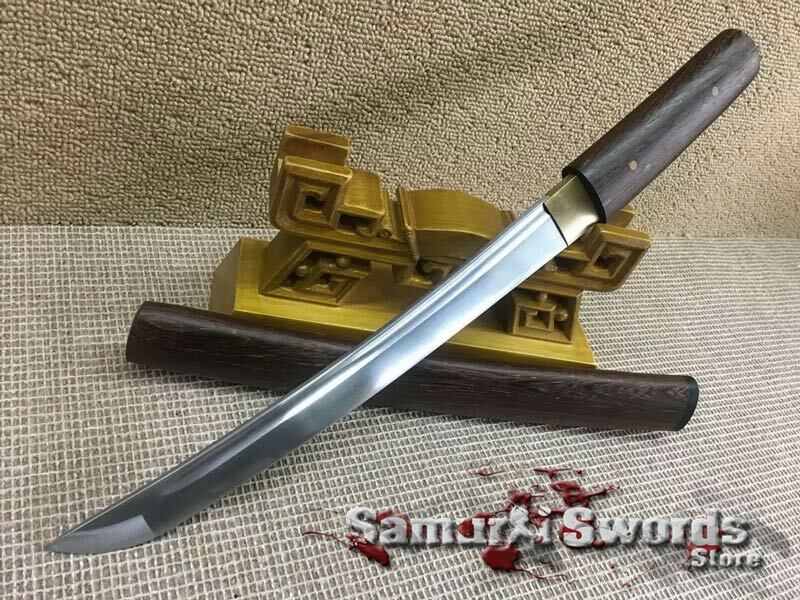 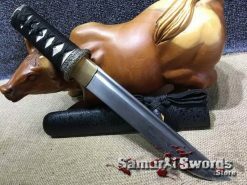 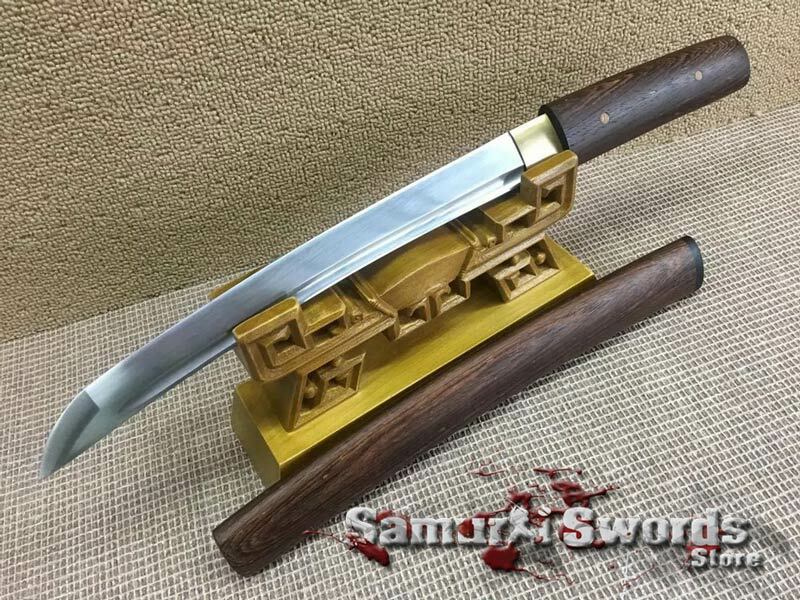 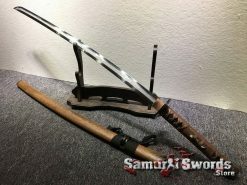 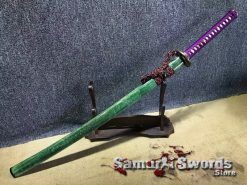 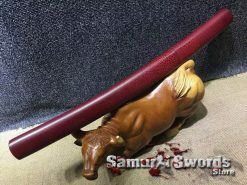 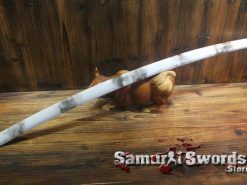 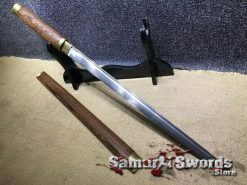 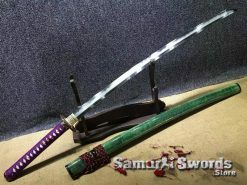 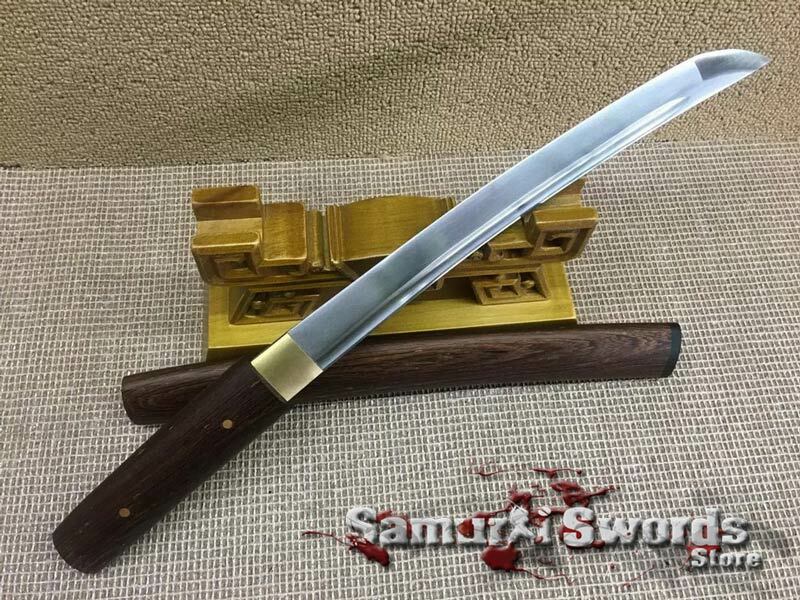 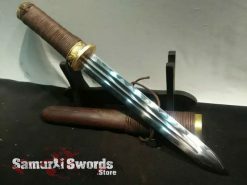 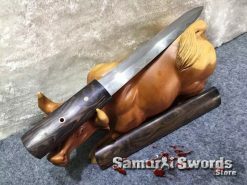 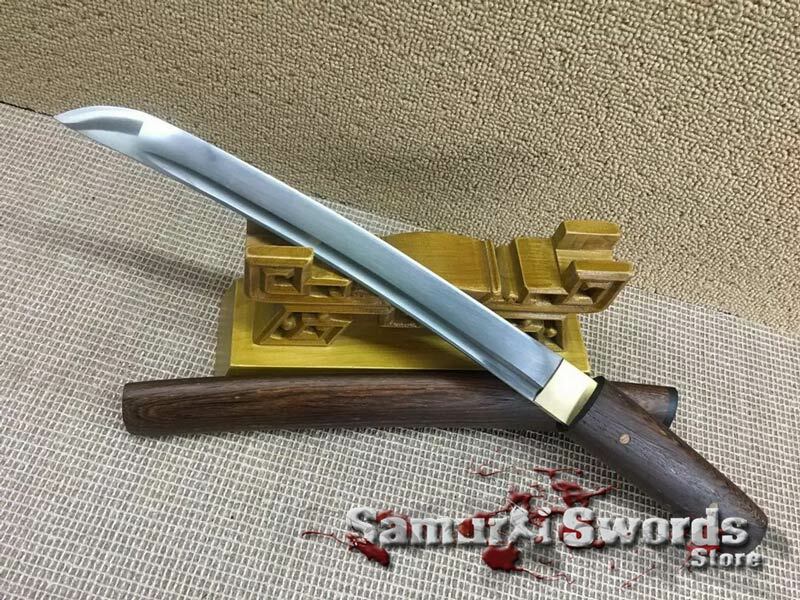 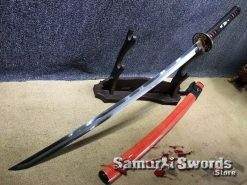 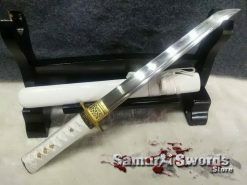 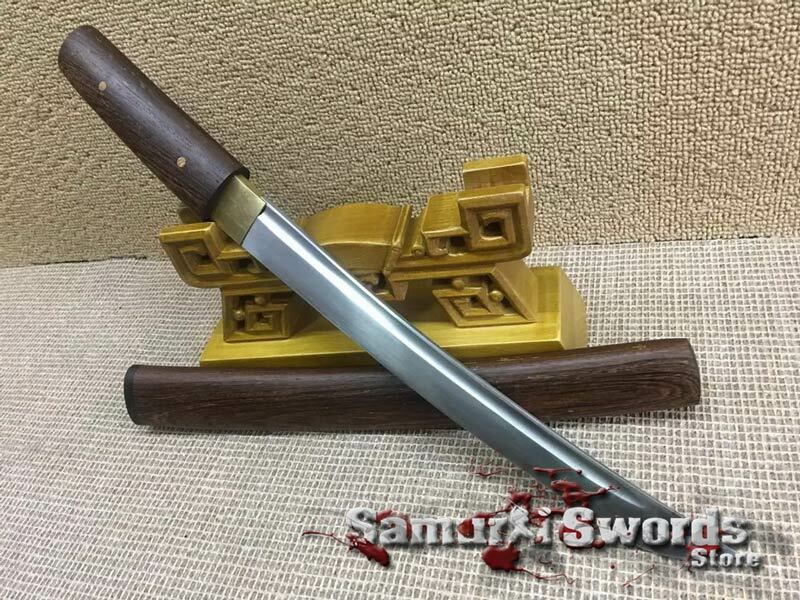 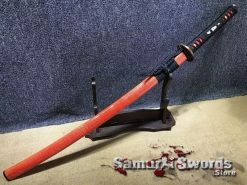 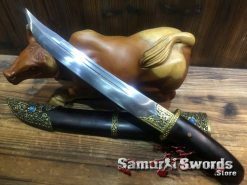 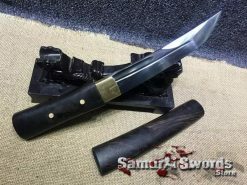 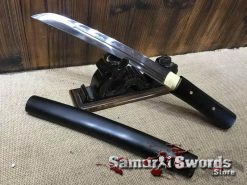 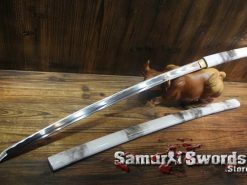 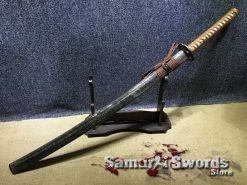 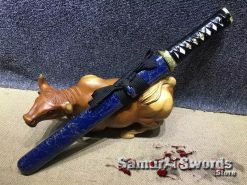 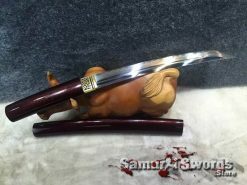 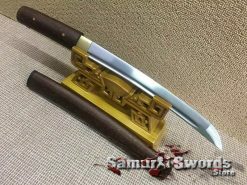 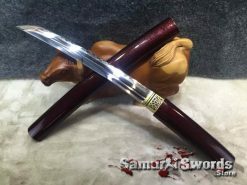 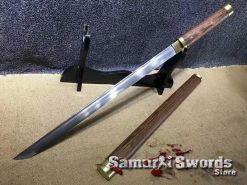 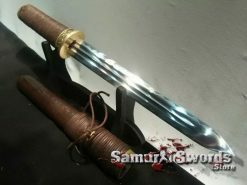 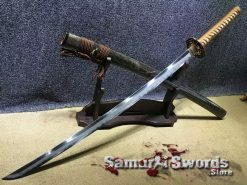 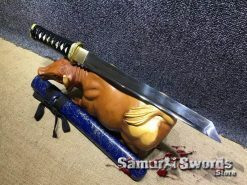 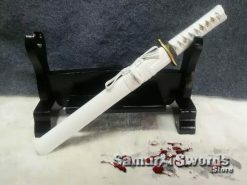 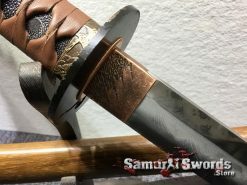 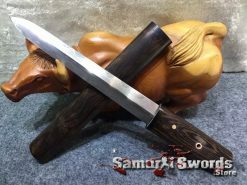 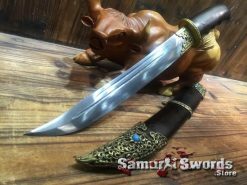 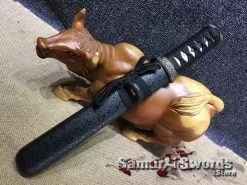 It has a saya made of rosewood which is a material known to be hard and strong, enough to protect the samurai knifes blade when not in use; the material is also known to resist wear and tear plus it polishes well to give the Tanto a beautiful finish. 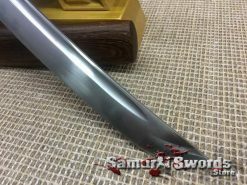 The presence of the blood groove also helps since it works by making the blade more lightweight. 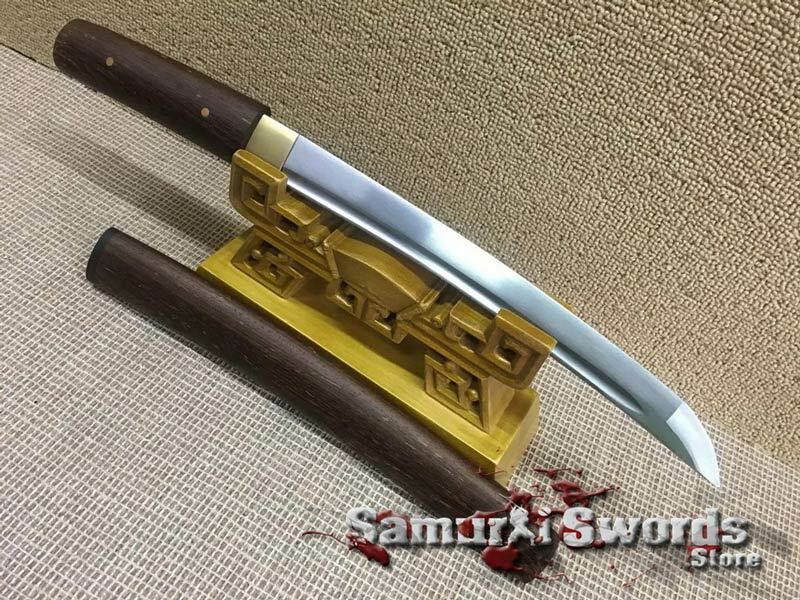 Although it has the word blood in its name, it clearly has nothing to do with this and only functions to make the blade light, while also adding a little more speed and agility to this.